A not-so secret: I love ceviche. 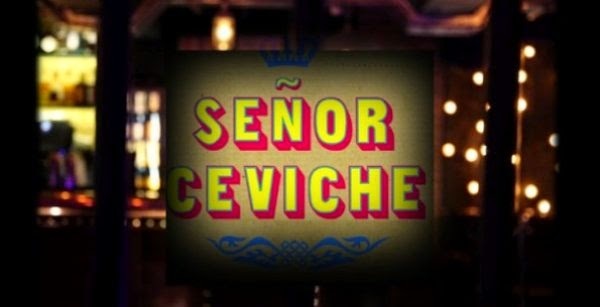 So as soon as I heard about Señor Ceviche, a new Pervian place which opened in London, I made a beeline for it. 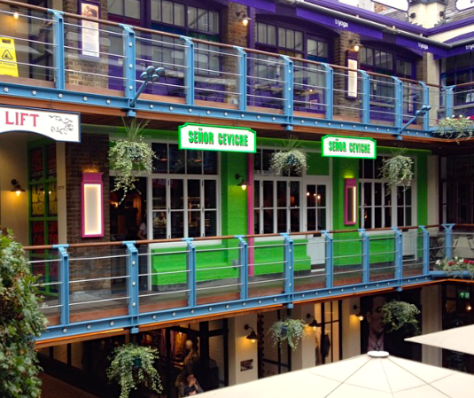 Based in the buzzy Kingly Court in Soho, Señor Ceviche is Wahaca in its style – simple, fun, inexpensive and accessible to everyone. Great stuff. You can’t go wrong with Peruvian food for clean eating – fish, veg, and quinoa all over the menu! We went on a Friday night so the court was filled to the rafters with post work eaters, Friday night drinkers and “let’s miss rush hour” thinkers. They take bookings (amazing) but you only get your table for two hours, which always makes me panic slightly – will I be able to eat eveything? They recommend you share the plates (3-4 per person, tapas style) from the menu so we dove in: various ceviche (Mr Miyagi: salmon, salmon skin, pomegranate. Senor Ceviche: seabream, avocado, squid, Classico: seabream, sweet potato, red onion), yuca, grilled salmon from the Peruvian barbecue, Tempura squid in tiger’s milk, and pickled red cabbage. I can honestly say there wasn’t one thing I didn’t like. It’s a ‘treat meal’ that isn’t a cheat! A real winner for clean eating, so you’re not “the one ordering a salad”. Avoid the chips and you can feast on nearly everything completely guilt free. Their ceviche selection wasn’t the most elaborate, but for simple and effective food it was spot on. The signature dish – the not-so-surprisingly named Señor Ceviche – was delicious. We doubled up on the order and didn’t leave a drop. A little gem, one of the ex-pop-up winners. 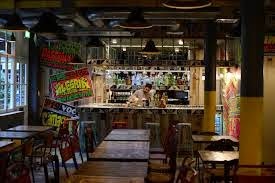 It’s a great restaurant (bright South American vibes, sultry low lights and jolly Cuban-esque music), fun ambience a la Peruvian Nandos (hey, it works) and food for everyone. I’m sold for future clean eats out: avoid the cocktails and stick to fish dishes (most of the menu…) and you’re golden.